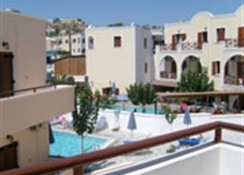 The Syrigos-Selini Hotel & Studios is situated in a quiet location yet with easy access to a good range of facilities and the centre of Kamari resort on the island paradise of Santorini. Just a 5 minute walk to the black sandy beach, this property offers charming guestrooms that combine traditional decor with modern amenities. 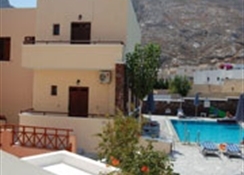 Syrigos-Selini Hotel & Studios is a great base from which to discover marvellous beaches and fishing villages, a wide selection of shops, bars and restaurants and experience the most beautiful sunsets imaginable overlooking the volcano and the nearby islands. Monolithos Airport is 4 km from the Syrigos-Selini Hotel & Studios. Local Tips: Kamari is a beach resort located 10 km southeast of Fira. Offering an impressive long and inviting black sandy beach, characterized by an enormous rock called Mesa Vouno that rises from the sea. Food, drink and entertainment: Self-catering units as well as guestrooms booked on Bed and Breakfast basis. Breakfast is served every morning in the sunny breakfast room and there are, several supermarkets and a selection of local and international style restaurants nearby. 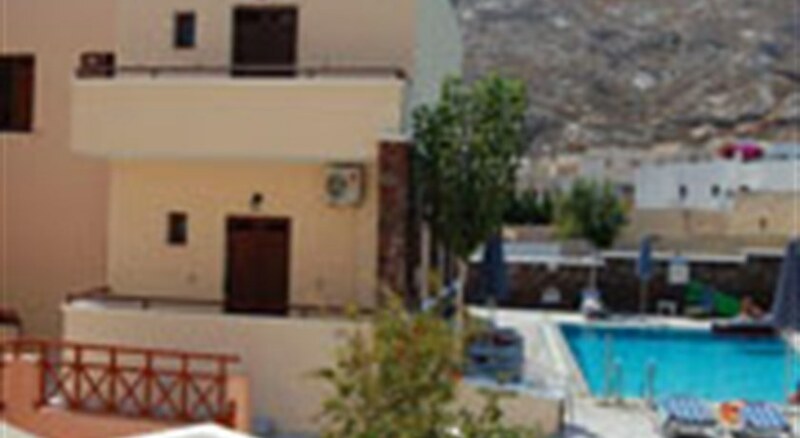 Sports, games and activities: Swimming pool surrounded by sun terrace and sun beds, umbrellas, garden, and TV lounge. The complex is just 5 minute walk to the beach. Additional: Reception, gift shop and pool bar.